“The committee will reconcile our party members as a result of the emergence of some few issues after the conduct of the primary elections." Party members have been aggrieved and expressed their disappointment for some reasons during and after the All Progressives Congress (APC) primaries held in Kano State. This is contained in a statement signed by the Chief Press Secretary to the governor, Abba Anwar and made available to newsmen on Sunday in Kano. 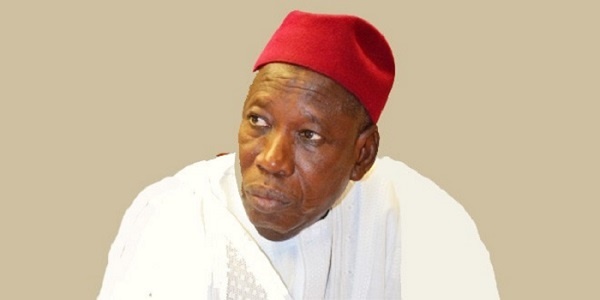 Ganduje, who, inaugurated the committee at the Government House, Kano, said it would bring unity among party members and also take care of some misunderstandings that cropped up after the recently concluded primary elections in the state. “Normal misunderstanding as seen after the primaries in the state are normally unavoidable in democracy. Particularly in the practice of party politics,” Ganduje was quoted as saying. “Kano being the largest democracy in Nigeria with the highest population coupled with higher elective constituencies in the federation, the state is bound to experience such political complexities. “We also chose to conduct direct primaries, fundamentally for the simple reason that we want to get optimum participation. The committee is chaired by ‎Gen. Bashir Magashi (rtd), Speaker of the State Assembly, Kabiru Rurum, Yusuf Ata, Gen Jafaru Isah (rtd) and Amb. Kabiru Rabi’u, Sabo NAN on and Dr Maikano Rabi’u. The committee was given two weeks to submit its report to government for further action.